Have You Been Arrested or Accused of a Crime? If you have been arrested, detained, questioned, or even suspect that you may be the subject of a police investigation, you need to contact an experienced Atlanta criminal attorney right away. Time is of the essence in establishing a successful defense to criminal charges. Thomas C. Nagel, Attorney at Law knows how valuable your rights and freedoms are, and he will act fast to limit the impact of any potential charges against you. In many criminal cases, the early intervention of an attorney can mean a great deal. For example, in DUI arrests, you have only ten days from the date of arrest to request a hearing, or in all likelihood your license will be revoked. In drug charge cases, evidence essential to the prosecution’s case may or may not be admissible depending on what you told police before and after your arrest, whether you were properly advised of your rights, or whether police had the authority to perform a search. If you submit to police questioning without first consulting an attorney, you risk throwing away your precious rights and increase the likelihood of a conviction. If your child faces charges in the juvenile justice system, it is also very important to act quickly to ensure a full defense can be presented. Some people believe juvenile crimes are less important than other crimes, but they can leave a lasting mark on a child’s record, result in serious life-altering consequences, and juveniles can even be tried as adults in certain cases. It is a mistake to minimize a juvenile criminal charge or simply let the child fight for himself. Promptly consulting with an Atlanta criminal attorney can have a tremendous impact on your child’s future. Thomas C. Nagel is a Georgia criminal defense lawyer, serving clients in Atlanta and the entire state of Georgia. Mr. Nagel is “AV”-rated by his peers according to Martindale-Hubbell, and has substantial experience in defending a wide range of criminal charges, including DUIs, drug charges, juvenile crimes, and theft crimes. He also has significant experience with probation hearings, bond hearings, and defending traffic tickets and driver’s license suspension cases. When faced with these or other criminal charges, your first call should be to Thomas C. Nagel, Attorney at Law. Our office will provide you with superior service, making ourselves available to you day and night, advising you of your options and answering any questions that you have. Preparation and a thorough investigation are key in every criminal case, and we will leave no stone unturned in preparing your defense. In court, Mr. Nagel is an aggressive advocate on behalf of his clients. 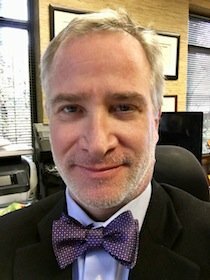 Armed with thousands of hours of experience in courtrooms throughout Georgia, Mr. Nagel understands the subtleties of dealing with local judges, negotiating with prosecutors, and finding weaknesses in the State’s case against you. You should not go it alone. Your freedom, your driving privileges, and your future are too important to leave to chance. Atlanta criminal lawyer Tom Nagel offers free, confidential initial consultations. It is important to act fast to preserve your rights – so contact us today. I just wanted to thank you again for everything. You saved my life. I’m so glad I picked you. What were the odds? I don’t know how you pulled it off. If I run across anybody that needs legal advice I will definitely recommend you. My life is back to normal thanks to you. I know it could’ve been much worse. Thanks Again!